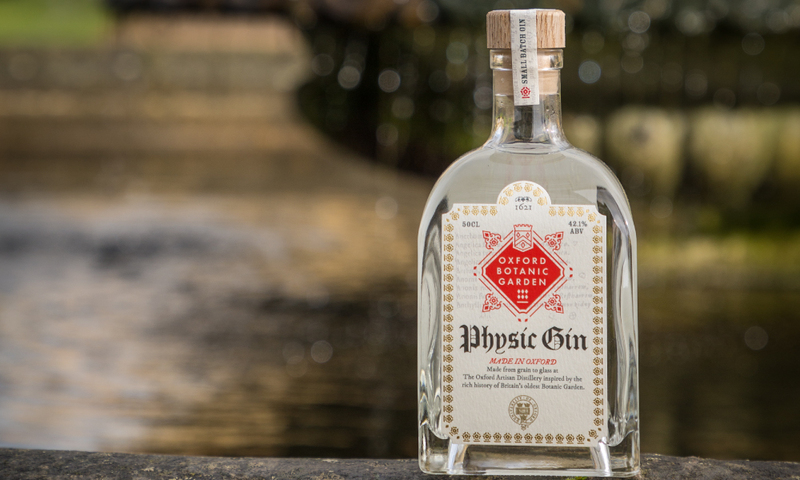 Over the past month we have all been excited to see the launch of Oxford Botanic Garden’s 'Physic Gin'. Created by a unique blend and produced at the Oxford Artisan Distillery (TOAD), Physic Gin is the product of 24 botanicals, most harvested from the Garden itself and inspired by the plants that grew there nearly four centuries ago. TOAD have a unique relationship with the Botanic Garden and are the only distiller in the world to be granted access to Jacob Bobart the Elder’s antique garden catalogue, dating back to 1648. It was this manuscript that provided inspiration for the gin’s recipe. The ancient grains have been farmed sustainably in the countryside nearby using methods that were common practice back in medieval times. This, combined with the unique hand-crafted copper stills, and intricate Anglo-Saxon-inspired label designed by artist-in-residence Dr Robin Wilson, give the gin a delightful ‘grain-to-glass’ provenance. Physic Gin can be purchased directly from TOAD, and from Easter it can be found at the Oxford Botanic Garden shop.